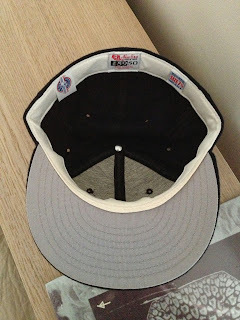 1992-1993 and 1996 Phoenix Firebirds Caps - Fresh Fitted Friday!!!! I know I did a tribute to a San Francisco Giants minor league team last week but I just couldn't resist the opportunity to honor another former Giants farm club: the Phoenix Firebirds. 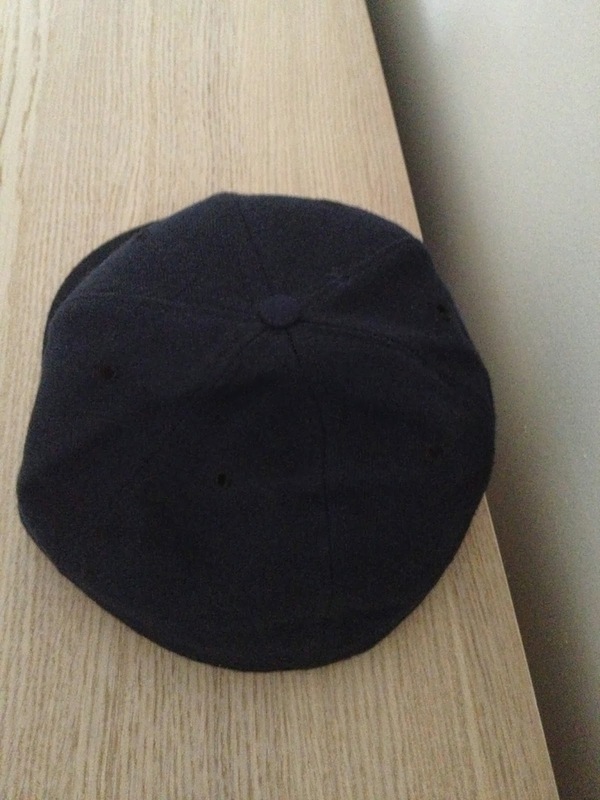 As time goes on, this cap's logo becomes increasingly more obscure to even longtime ("die-hard") Giants fans. After all, who can really be expected to remember a team that has been defunct since 1998? Because of the Firebirds' affiliation and that the Giants have held their spring training in Arizona since 1947, Phoenix was always full of Giants fans. When MLB awarded Arizona with an expansion team, the Firebirds packed up and moved to Tuscon and became known as the Sidewinders. The team that was already there was called the Tuscon Toros (which was an Astros affiliate at the time) so they in turn moved to Fresno and called themselves the Grizzlies. There was also an organizational shake-up as the Sidewinders became an affiliate of the Diamondbacks while the Grizzlies became an affiliate of the Giants. It seems like there would be an easier way to accommodate this new expansion team but that is what makes baseball so much fun! 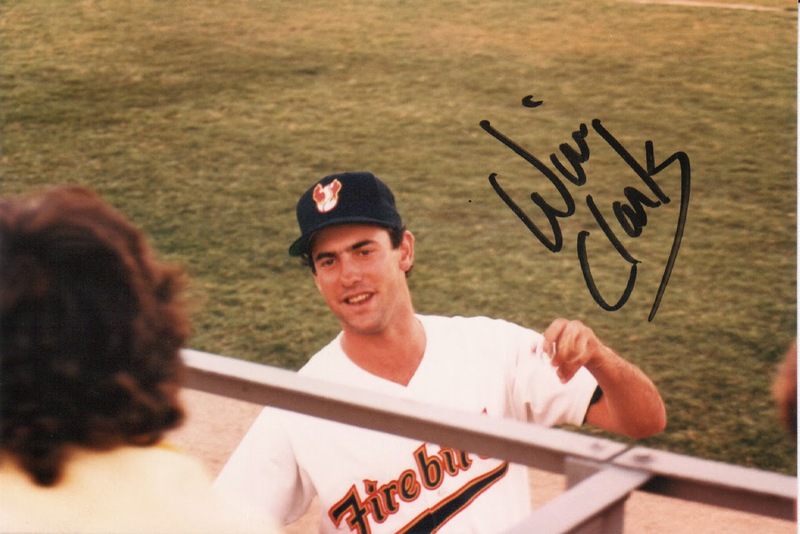 My favorite Giants to watch in my childhood were Will Clark, Matt Williams and Kevin Mitchell. While I surely appreciated each of their contributions then, looking at Williams' career statistics - and let's not forget the terrific job he's done so far in his present-day coaching assignments - I'd say that I appreciate Williams' career the most. To their credit, Clark and Mitchell each had a few breakout seasons early in their careers that solidifed their reputations as real-deal ballplayers but Williams seems to have had the most consistent productivity out of the three. 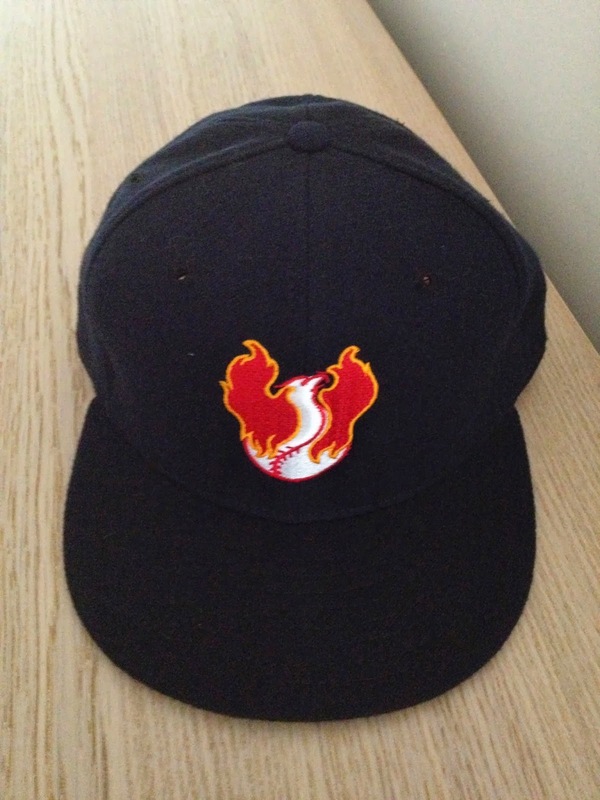 Besides, this edition of Fresh Fitted Friday features a Phoenix Firebirds cap and Clark only appeared in six games for Phoenix while Mitchell never even played there! Williams on the other hand played in Phoenix during two different seasons and he also represented the team in the 1989 Triple-A All-Star Game! This cap is definitely another one of my favorites because the logo is simple yet striking. At first glance you see the baseball that appears to be on fire and upon closer inspection, you see that the flames make-up the wings of the legendary Phoenix! A point of reference about the Phoenix is that these mythological creatures are believed to rise from the ashes of ones before it. Even though it's sad that Arizona is no longer officially part of "Giants Territory" I find amusement in the notion that in a way, the Diamondbacks actually rose from the embers of the Firebirds. Nevertheless, baseball fans in Arizona don't have a lot to complain about. The Diamondbacks won the World Series in just their fourth year in the National League. Also, let's not forget that Matt Williams was on the Diamondbacks roster in their 1998 inaugural season. An item of note is that Williams' 3-run blast in Game 2 of the 2001 World Series set an MLB record as he is the only player to this day to hit a World Series home-run for three different teams! UPDATE: To the readers, I apologize about the way my paragraphs used to be so long. I've changed and you know this to be true. Also, I've come to the conclusion that the cap featured above is from 1994 1993. I came to this conclusion due to the fact that 5950 sweatband tags debuted on the the 1994 1992 caps but there is no MILB batterman logo which began to appear in minor league hats in 1995 1994. Now here's a bonus cap to feast your eyes on. While the cap's logo is the same as the one above, it features a reddish-orange brim with a grey underbrim of course. This cap is definitely less common than the all navy version, but I'm not sure what year the Firebirds wore this one or how often they wore it in games. 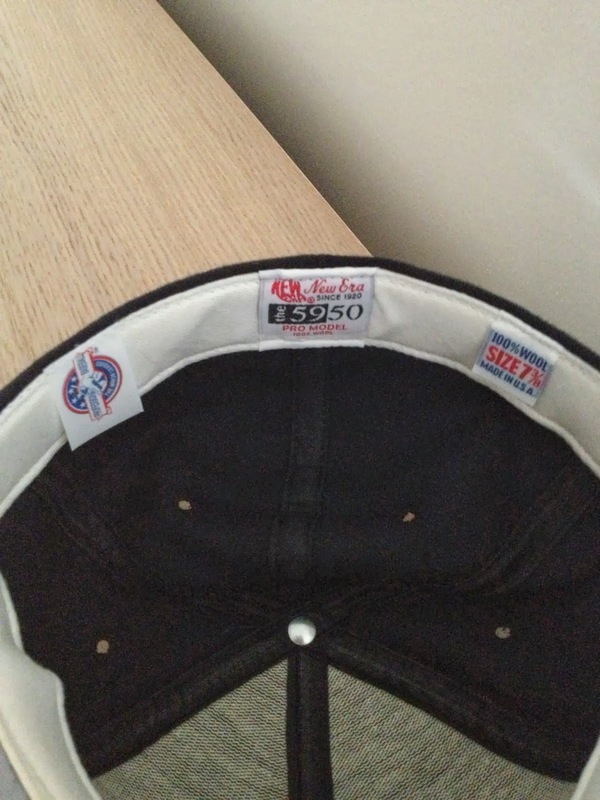 Looking at the inside tags, it's clear that this cap is from the mid-1990's but the Firebirds' played their last season in Phoenix in 1997 so my guess would be that it's from that year or perhaps the one before. Unfortunately, I haven't had much success in obtaining any photographs from that era to verify that. UPDATE: Wow I really did a bad job of adding captions on these older posts. I've rectified that as well since then. At any rate, the Firebirds wore caps with red brims sparingly in 1995 but the tags here are different here than the aforementioned cap, so I'd say this cap is from 1996. This assertion is corroborated by the presence of the MILB batterman logo but further proof of this is that there is no "New Era Flag" tag on the sweatband. As a side note, that particular tag made its debut on the 1997 caps which incidentally was the last year of the Firebirds' existence. To cap it off here is another classic Matt Williams minor league card and a rare bonus photo of "The Thrill" in a Firebirds uni. Hi - Cool blog. I came across your post about the Phoenix Firebirds hat. How did you manage to find that hat? It looks to be in great condition, and as a native of Phoenix, I've been looking for a Firebirds hat for a long time. Thanks! Hi Chris, thanks for checking out my blog. I think with a little bit of patience you'll be able to score one of these gems for yourself! 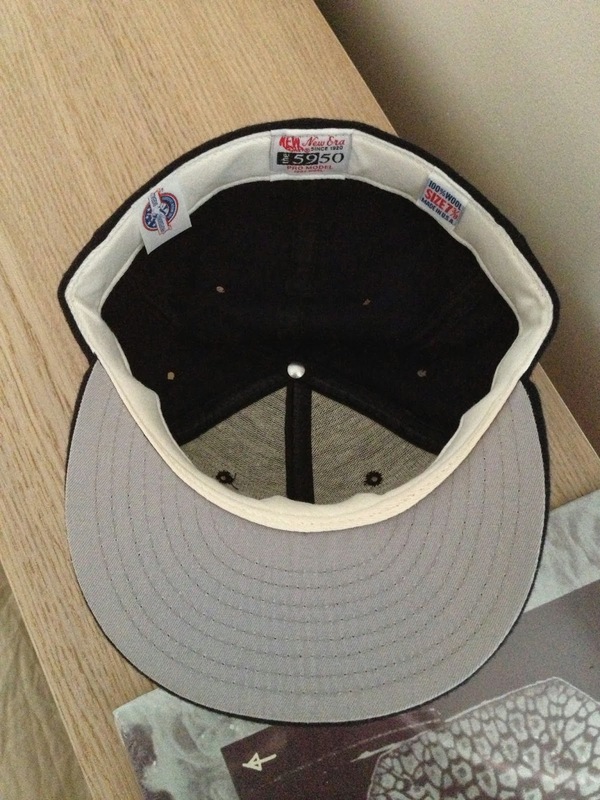 I constantly keep checking eBay for this cap and ones like it so when they pop up, I find it hard to resist!